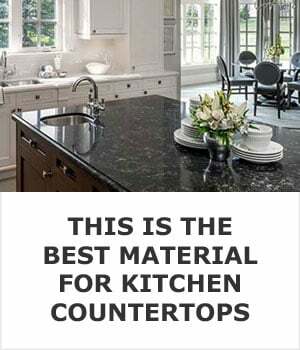 I'm going to quickly break each of the most popular types of kitchen countertops for you, but you can always click the "learn more" links below each description if you'd like to find out more. This high rise in NYC uses stainless steel countertops to compliment its' modern design. Professional chefs use stainless steel in their restaurants because it's the easiest to care for and to sanitize. The surface does scratch easily and over time the entire countertop does take on a patina of scratches. Learn more about stainless steel. 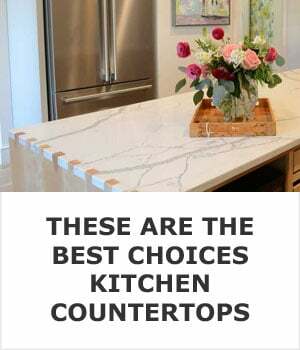 If you're willing to go the DIY route concrete countertops are very affordable. They have all the benefits of natural stone without the high price tag, but that's only if you make them yourself. If you hire a contractor to make them for you they'll cost just as much as granite or engineered stones. 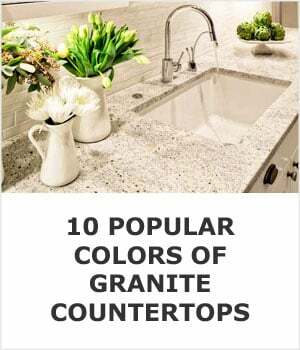 Put granite at the top of your list of countertops to consider. It's heat proof, easy to maintain, and unless you're absolutely careless, nearly impossible to stain. These soapstone countertops have been freshly oiled which highlights the stones natural color variations. I'm a huge fan of using natural stone in the kitchen and soapstone is one of my favorites. It's just about impossible to stain and incredibly heat resistant as well, which makes it an excellent choice for a busy kitchen. The only drawback is the price; you won't find many inexpensive slabs of sopastone for sale. If there's no room in the budget for natural stone than laminate countertops are your best option. They can't take nearly as much abuse as natural stones like granite and soapstone can but they are incredibly cheap and easy to care for. 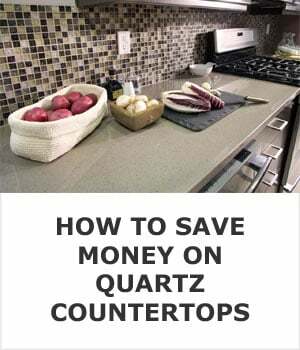 If you want a DIY countertop project that will save you the most money than you can stop reading right here. Tile is the cheapest type of kitchen countertop and it's very durable too. It's most susceptible at the grout seams so larger tiles are better. 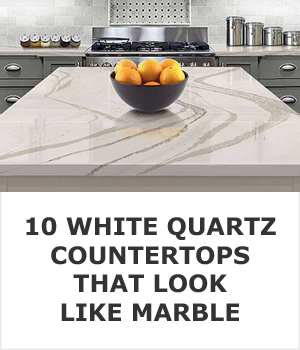 Natural marble, like this carrara variety, is one of the most beautiful stones you can put in your kitchen. Marble is a beautiful stone but it does etch easily. If you cook with acidic ingredients you have to be careful about keeping them from coming in contact with it. I'd love to have marble in my own home but it requires a higher level of maintanance than any other kitchen work surface and I know I can't be trusted to keep up with it. This solid surface kitchen countertop is made to look like marble. I'm not going to sugar coat my bias against using solid surface in the kitchen. I don't like it at all because it costs just as much as natural stone but it's an inferior product. The biggest problem is how easily it burns and scratches. It does resist staining and moisture very well, making it a good choice for bathrooms. Learn more about solid surface. 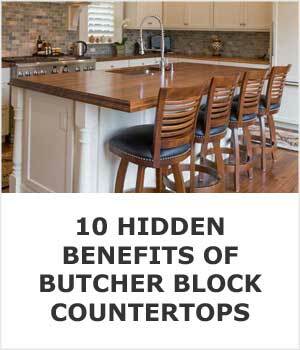 Wood countertops give this kitchen warmth without sacrificing performance. When granite became popular wood fell out of favor, but it's a great choice for a countertop. You do need to protect it from heat and scratching but it's incredibly resilient and minor damage is easy to repair. Usually when we talk about engineered stones we are talking about quartz like this one. A great use for quartz, often referred to as engineered stone, is to install it as an alternative to marble. The resin its' made with makes it just about impossible to stain or scratch but it is susceptible to damage from heat. 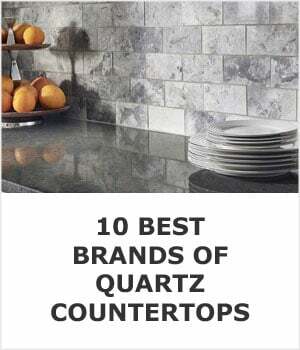 Quartz can take a lot of abuse, but because it can't handle heat the way natural stone can it's better suited for commercial applications such as bartops and office building break rooms than it is for residential kitchens. 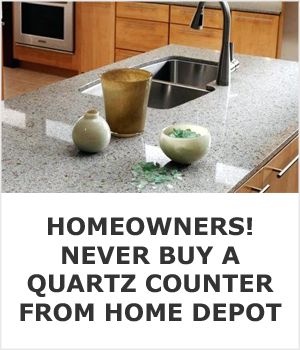 Don't confuse quartz and quartzite, they are very different building materials. 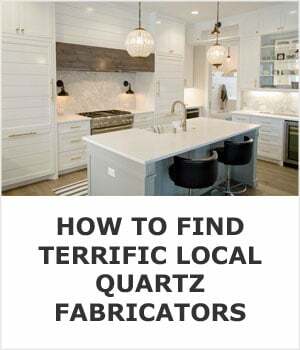 While quartz is made with a resin, quartzite is a completely natural stone. Quartzite is one of the durable countertops you can buy. It's heat proof and tough to stain but does require occassional sealing. This is trillium, the most popular color of Dekton. 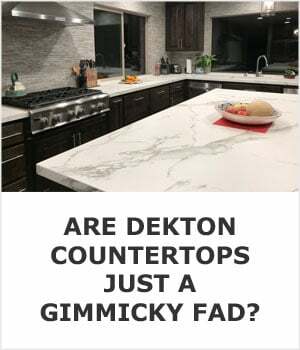 Dekton is another type of engineered countertop. It's manufactured by the same company that makes Silestone. Dekton is not better than natural stone but some of the colors and patterns are very interesting.